From Rav Aviner on his philosophical opponents - admirable approach! Uncle Rabbi Dovid Schochet on the "Kosher Switch"
Back in 1978 I took a bechinah (IIRC, together with my friend Reb Aaron Berger) with Reb Aharon zt"l for Gush (we were both accepted but did not go) and heard several shiurim from him over the years. That is the sum total of my interactions with him. Nevertheless, there is one manner in which I feel a sense of kindred spirit with him, in the question of what secular area is the one most optimal to synthesize with Torah in the pursuit of TIDE/TUM. 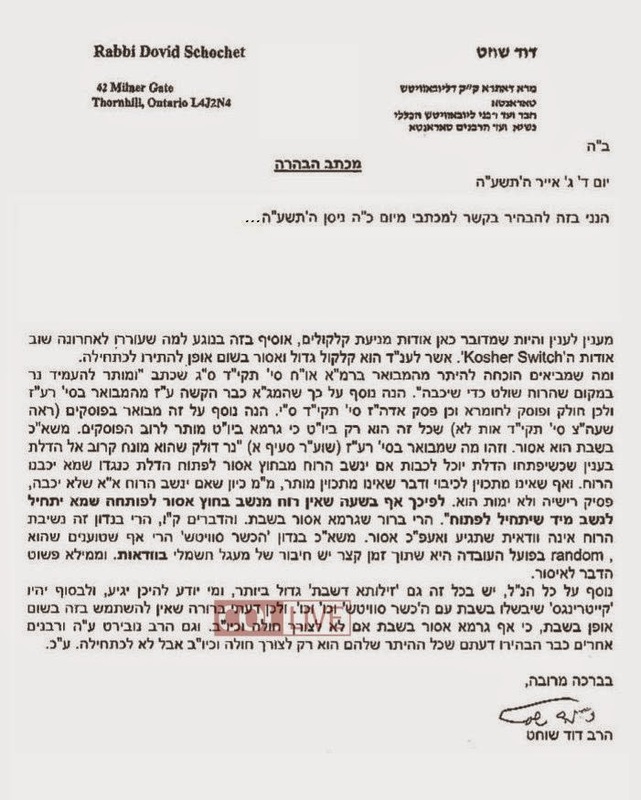 That issue is the subject of an indirect disagreement between Reb Aharon (humanities) and ylct"a, Rabbi Dr. Yehuda (Leo) Levi (mathematics and hard science). I address it here, also to be found at http://www.academia.edu/8199833/Facing_Current_Challenges. Although I tried not to "take sides" in the essay, and there is no "correct" form of synthesis in any event, RAL's synthesis speaks more to my heart. There are, of course, other forms as well. RAL's FIL, RYBS, seems to have held that the optimal synthesis is with philosophy, while RAL Uncle-In-Law, RAS, seems to have held it to be with law.